How often do you hear something that makes you get chills down your spine? You know - goose bumps, watery eyes, a feeling as if your hair is standing on end? Well, that is exactly what happens to me each and every time I hear Bulgarian folklore music. I’ve often wondered, why does this happen? Is it because of the magical fusion of traditional instruments? The gentle blows of the goatskin bagpipe (gaida) intertwined with the mystical sounds of the end-blown flute (kaval) and complemented by the powerful sound of the large drum (tupan)? Or the mysticism of the otherworldly voices that, when you close your eyes, makes you feel like you are floating on air? I may never find the answers to these questions but it’s a fact; Bulgarians have another reason to feel very proud of their heritage – the land that is believed to offer one of the richest folklores on the planet. What is traditionally referred to “Bulgarian folk music” has its roots in ancient customs and traditions that reflect the five-century-long Ottoman slavery/rule that never succeeded in crushing the lively spirit of the Bulgarians. Our traditional music is exceptionally diverse and distinctive and is known for its unusual ‘asymmetric’ rhythms, where rhythm is not split in even beats but in longer and shorter ones. Another intriguing fact about the traditional Bulgarian song is that it always tells a story. Created in small villages tucked away in the valleys of our beautiful mountains, women would often gather and sing together, telling tales of love, family, work, daily chores or anything else that would trigger their inspiration. Traditionally, these songs served as news – from village to village and valley-to-valley – women used to create these magical sounds and share their story. This tradition was passed from mother to daughter over many generations. Today, what gives us chills and goose bumps is the voice of a woman called Valya Balkanska. Her song “Izlel e Delio Haidutin” is one of the twenty-seven musical performances that were once sent to space in 1977 on board of the US Voyager. The UNESCO-honoured “citizen of the world”, Balkanska is one of Bulgaria’s greatest treasures not only renowned for her incredible voice, vocal capacity and range but also for her phenomenal ability to recreate the mystical atmosphere of the traditional Rhodope Mountain singing. 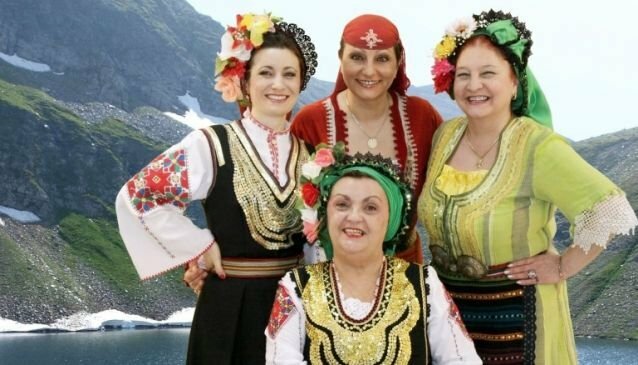 The distinctive voices of Bulgarian female folk singers can also be heard in the Grammy-winning series of recordings Le Mystere Des Voix Bulgares (The Mystery of the Bulgarian Voices). The award-winning album of Bulgarian folk songs performed by the Bulgarian State Radio and TV Female Vocal Choir was a result of fifteen years of hard work by the Swiss ethnomusicologist and producer Marcel Cellier who recognised their talent and released the album on his small Disques Cellier label back in 1951. One of the most famous songs on the album is “Pritouri se planinata”. Originally performed by Stefka Sabotinova, it is a part of the movie soundtrack of “Jesus of Montreal” (Jésus de Montréal). Additionally, “Pilentse pee” can be heard on Jason Derulo’s Billboard hit – “Breathing”. The enchanting Bulgarian fusion of dramatic sounds, appreciated across the globe, is also created by the unique rhythms, harmony and polyphony typical of songs from the Shope region, the Bulgarian capital Sofia and the Pirin region. 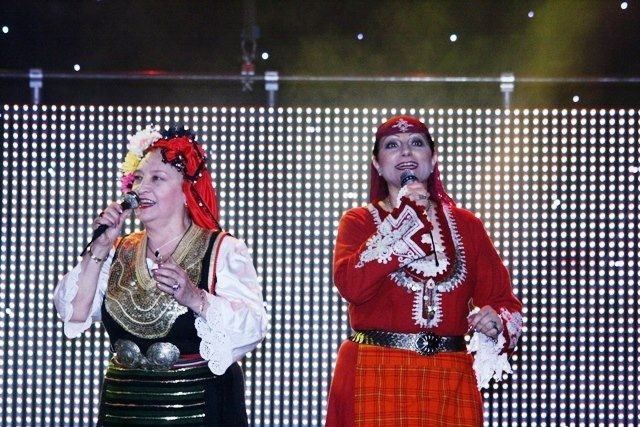 Trio Bulgarka, for instance, is another female vocal group that recreates the techniques of these regions. They became famous when Kate Bush sampled their songs and used them in her 1993 album The Sensual World. So it’s no surprise foreign audiences have appreciated Bulgarian folklore music for many decades. And it isn’t shocking that, when they hear Bulgarian folklore, people get the shivers and become enthralled with the sounds that come out of their sound systems. After all, there is a reason why these songs were sent to outer space, along with masterpieces by Mozart and Beethoven. Every time I listen to Valya Balkanska and “Izlel e Delio Haidutin”, I am taken to that mystical space, a time and place that are typical of my roots, of my motherland. It is the stories behind these beautiful voices and powerful instruments. It is the pain and the emotion that makes these songs truly remarkable.